According to recent findings from NASA’s Cassini spacecraft and Deep Space Network, Enceladus, Saturn’s fifth largest moon, may contain an ocean of liquid water beneath its frozen crust. 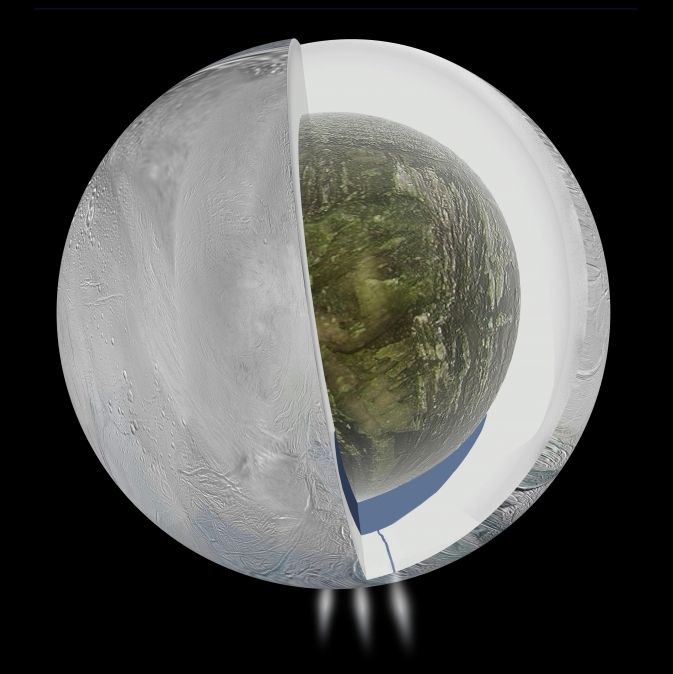 Scientists first speculated the presence of water on Enceladus in 2005 when Cassini detected ice and water vapor plumes emanating from the moon’s southern pole. Further gravitational evidence gathered from three passes by Cassini during 2010 and 2012 seem to confirm the existence of a large, liquid mass of water between the low-density icy exterior and high-density core. This new body of water may also prove a “habitable zone” for microbial life. Watch out E.T! Read more via NASA’s website.